(Reuters) – A senior aide to Iran’s supreme leader warned against the overthrow of Syria’s President Bashar al-Assad, saying his fate was a “red line”, in one of the Islamic state’s strongest messages of support for the Damascus government. Iran has steadfastly backed Assad’s rule since an uprising against his rule began almost two years ago and regards him as an important part of the axis of opposition against arch-foe Israel. TEHRAN –Ali Akbar Velayati, a senior advisor to the Supreme Leader, has said that Iran will not ignore the Syrian people’s right to determine their destiny. Now this is a bit tricky. Iran is basically Shi’ite Muslim as is Syria’s President Assad. Yet most in Syria are Sunni Muslim. Iran wants to keep Syria ruled by a Shi’ite, but also seems to realize that Bashar Assad may not make it (and it may have told President Assad that while also possibly discussing with him some type of attack against Israel). Partially because of the internal civil war in Syria, if it escalates too much more, Syria’s President Assad may decide that attacking Israel, probably in conjunction with support from Iran, is his best carnal option (which could include supporting Iran if it attacks Israel or Israel attacks it). Attacking Israel, however, will not be his best option (he should repent and probably leave office), though he may do that. As regular readers of the COGwriter news page are aware, I have been warning for some time that a regional war involving Iran, Israel, the USA, and/or Syria seems likely. The situation in the Middle East is tense. Since Iran, however, is NOT really south of Jerusalem (though it may support such a king per certain interpretations of the peoples listed in Ezekiel 30:1-9), it will not be the final King of the South of Bible prophecy (cf. Daniel 11:40-43). Because of that, I have tended to believe that Iran may somehow get “neutralized” before this final king rises up. A serious attack by the USA and/or Israel may neutralize Iran and much of its influence. It also may take a regional war for the seven-year confirmation of the deal in Daniel 9:27 to come about. This neutralization of Iran may be from a regional war, internal war, economic pressure, and/or internal change. 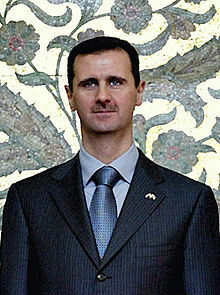 Furthermore, more trouble is coming to Damascus (Syria’s capital) as it will be destroyed (Isaiah 17:1). An Islamic confederation that will include the land of Syria is coming (Daniel 11:40-43; Ezekiel 30:1-8; Psalm 83:4-8) is coming–and it does not appear at this time that it will be primarily Shi’ite Muslim. A worsening situation in Syria would seem to be a factor in speeding up this occurrence. When Will the Great Tribulation Begin? 2013 or 2014? Can the Great Tribulation begin today? What happens before the Great Tribulation in the “beginning of sorrows”? What happens in the Great Tribulation and the Day of the Lord? Is this the time of the Gentiles? When is the earliest that the Great Tribulation can begin? What is the Day of the Lord? Who are the 144,000? This entry was posted on Sunday, January 20th, 2013 at 2:46 pm	and is filed under Prophecy, Religious News.